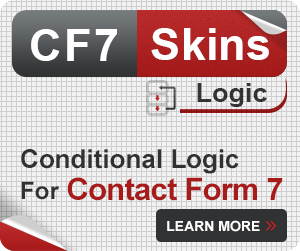 Please make sure that you are using the latest version of WordPress, Contact Form 7, and CF7 Skins. Updating to the latest version ensures plugin’s compatibility with the WordPress and Contact Form 7 releases. It also helps you get new features as soon as they are released. 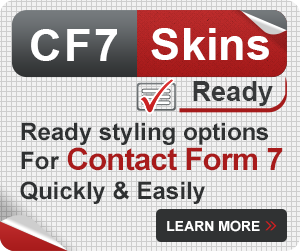 Tip: We are only able to provide support for the latest version of WordPress, Contact Form 7 and CF7 Skins. We will need to ask you to upgrade all of these to their latest versions before we are able to provide you with any support. WordPress has a built-in mechanism that notifies you when there is a new version of a plugin is available. This is usually highlighted by a digit appearing on the Plugins menu, on the Updates menu, and on the top admin bar. 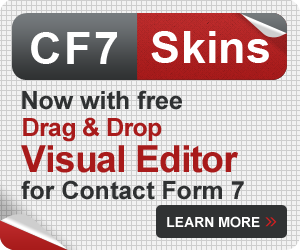 Tip: We provide almost identical update support for CF7 Skins Pro – plugin will be updated from our website instead of wordpress.org. You can see available updates, and force WordPress to check for updates by visiting Dashboard → Updates. Select your updates and hit the update plugins button. 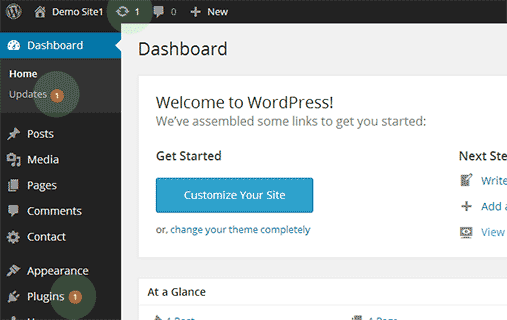 WordPress will now download and install the new version of the selected plugins. Tip: If you move your site after you activate your license you will need to change the site location in your Account to recieve update notifications. An alternate method to apply plugin updates is by uploading the plugin manually using an FTP client. First you need to download the latest version of the plugin in a zip file to your computer. 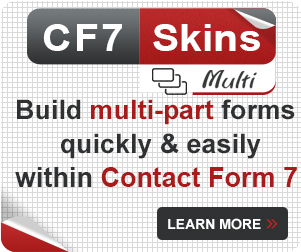 You can download this file from WordPress.org (CF7 Skins free version) or your CF7 Skins account area (For CF7 Skins Pro). After downloading the zip file, you need to extract it. Connect to your web server using an FTP client like FileZilla. 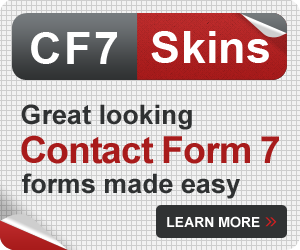 Now upload the contact-form-7-skins folder you extracted to the /wp-content/plugins/ directory on your server. Your FTP client would warn you that a file with the same name already exists. Choose Overwrite to make sure that your new files replace the older version of the plugin. That’s all you have successfully updated the plugin to the latest version.